With the Christmas Bird Count still to come, another rare sighting or two is possible before New Year’s Day. But some things can’t wait, so here’s my collection of news and notes from the 2014 birding year. I can assure you there was no shortage of material. Let’s start with Bird of the Year. Officially, it was the rufous hummingbird, a western species announced last January by the American Birding Association. In September, as if programmed by the ABA, a wayward rufous took up temporary residence in a St. Charles backyard. Luckily for birders, the yard belonged to the president of Kane County Audubon. My personal choice for Bird of the Year is Martha, the last passenger pigeon on earth. We marked the 100th anniversary of her passing on Sept. 1 and filled the year with books, news stories and a film documentary about the demise of her species. 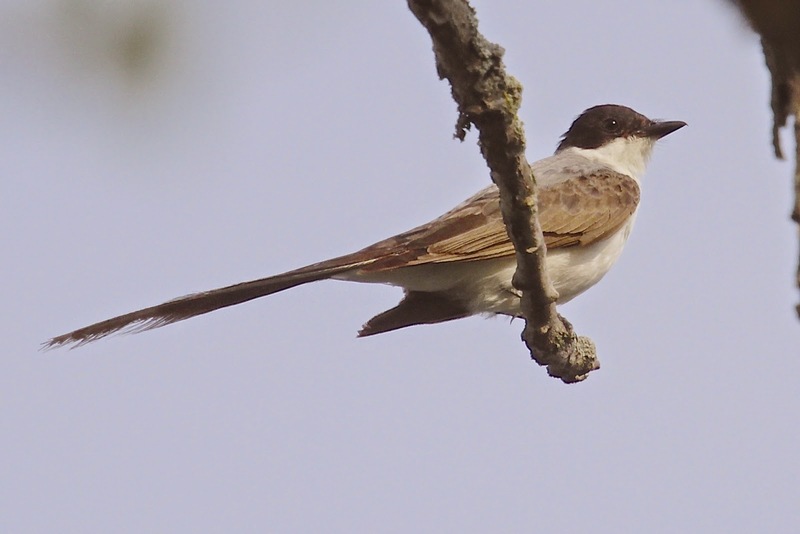 The sad but timely history lesson brought much-needed attention bird conservation issues. For Local Bird of the Year, of the non-extinct variety, I nominate the black-bellied whistling ducks that visited a Yorkville neighborhood in May. The feathered vagabonds hung around for 10 days, thrilling birders from the region and neighboring states. I travelled to Yorkville not once but twice, just to make sure my eyes were not deceiving me. The ducks—and the generosity of homeowner Irene Kaufman—will long be remembered. The year was filled with other notable sightings by area birders. A snowy egret stopped at Churchill Woods in Glen Ellyn. 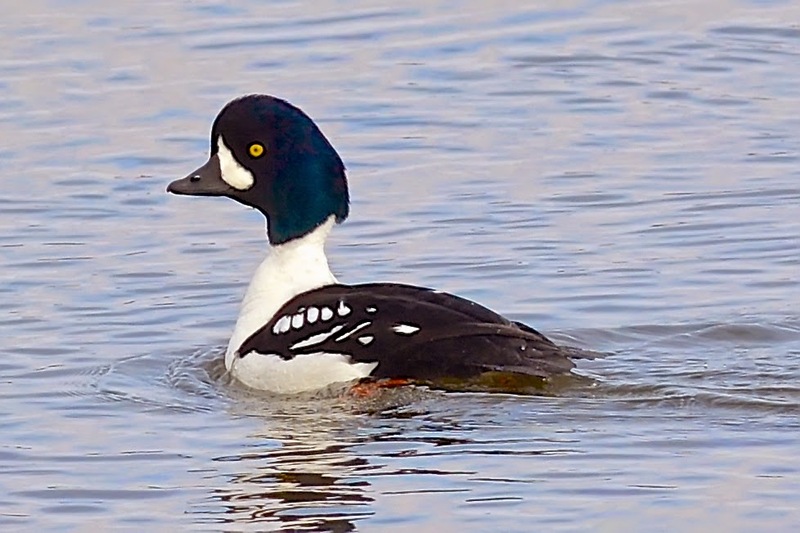 A Barrow’s goldeneye spent weeks on the Fox River in West Dundee. Woodridge hosted a red phalarope, and Elgin made news with a black-throated gray warbler. Batavia’s Fermilab delivered yellow-crowned night heron, cattle egret, red-necked phalarope and scissor-tailed flycatcher. A vagrant slaty-backed gull excited Lake County birders in February, and throughout 2014 the Chicago lakefront dished up its usual share of rarities—curve-billed thrasher, lark sparrow, Harris’s sparrow, Swainson’s hawk, red-necked phalarope and western grebe among other goodies. A migrating American anhinga flew over the Greene Valley Forest Preserve hawkwatch in DuPage on Sept. 6, followed 10 days later by the hill’s first-ever prairie falcon. Those hardy fools on the hill, incidentally, shattered their record for bald eagle sightings with an even 100 this fall. Their previous high was 60. Seven golden eagles were spotted, too. This was the ninth season for the Greene Valley operation, where data are collected by volunteer birders from September through November. The brutally cold winter of 2014 had an upside for birders. White-winged scoters and other uncommon waterfowl were surprisingly easy to observe. With open water scarce, birds moved closer to the Lake Michigan shoreline or even inland to find it. Some 96 scoters were counted at Waterfall Glen Forest Preserve in Darien on March 20. A long-tailed duck found refuge along the Batavia Riverwalk, and a harlequin duck paddled the Fox River in Elgin. Snowy owls seemed a dime a dozen thanks to a spectacular “irruption” across the northern tier of the U.S. Owls were still present around Chicagoland in March, apparently in no hurry to return to their arctic tundra homeland. One snowy vacationed near Jacksonville, only the third ever recorded in Florida. Sadly, we lost two legendary local birders and mentors in 2014. Jack Pomatto (St. Charles) and Muriel Smith (Wheaton) will be missed. The Illinois Audubon Society and its partners relocated about 90 greater prairie chickens from Kansas to Prairie Ridge State Natural Area near Effingham, Ill. 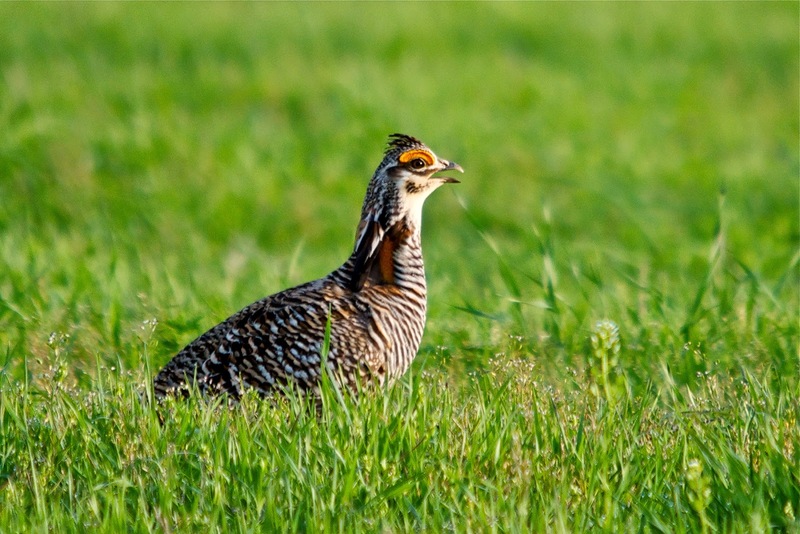 The three-year program aims to rebuild the prairie chicken population in our state, which before the relocation was less than 100 birds. Gov.-elect Rauner, you might recall, enjoyed poking fun at the relocation program during his campaign. Are you stocked up like me on those awesome songbird postage stamps issued in April? They make me want to give snail mail another try. Kane County Audubon teamed with the Veterans Conservation Corps of Chicagoland and the Kane County Forest Preserve to build four chimney swift nesting towers. The one at Brunner Family Forest Preserve in West Dundee enjoyed quick success, with three swifts fledging in August. Congrats to Marion and Rich Miller, champions of the project. Kudos as well to Willowbrook Wildlife Center in Glen Ellyn for completing their expansion and renovation, and to Naperville Park District for the new nature center at Knoch Knolls Park. A tip of the birding cap also to Dewey Pierotti, for 20 years of protecting our open spaces as president of the Forest Preserve District of DuPage County. Thank you and happy retirement! Favorite lifer of 2014: crested caracara, near Clewiston, Fla. Runner-up: "Mockingjay," AMC Yorktown. Best non-bird sighting: giant swallowtail in August, at Cantigny golf course. Other memorable moments: The yellow-bellied flycatcher at Willowbrook during the International Migratory Bird Day event; a pair of blue-gray gnatcatchers carefully harvesting a spider web in my yard, presumably for nest building; cruising black terns over the marsh at Point Pelee National Park in July; and the ovenbird that popped up next to my grill when I was cooking brats. For two straight days in mid-November, large and noisy flocks of sandhill cranes streamed over downtown Chicago. I’m hoping a few city dwellers looked up from their smart phones and wondered. The second edition of "The Sibley Guide" hit the shelves in March, including mine. A few lucky folks birded with the author when he visited Chicago on his book tour. 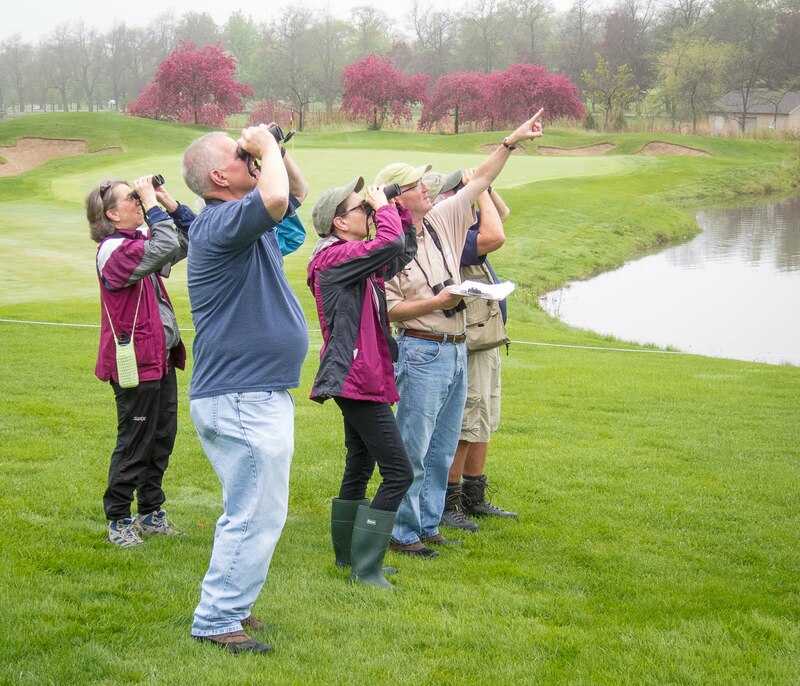 The DuPage Birding Club celebrates 30 years in 2015. Come have some cake at the Jan. 8 meeting (7:30 pm at Faith Lutheran Church in Glen Ellyn) and enjoy a presentation about birding in Cuba. Details at dupagebirding.org. Cuba sounds pretty good right now. Stay warm, happy Christmas counting, and remember the birds need our help.